Sometimes there is no words or actions that can make a week any better than it was, this week just gone was one of them. Mum broke her arm and mini mad has discovered a rage inside, which has started to cause issues at preschool. I have felt pulled in every which way. My mum is OK, sore and in a pot from fingertips to elbow and a sling, but she can still go on holiday to Florida with my brother next week and once she was all cleaned up and deal t with by the NHS all she wanted was a cup of tea. Mini, well that it a different matter, his newly discovered temper is getting the better of him and has shown an appearance twice at Preschool this week. Myself and the preschool staff are working on mini's issue, but a nice pot of tea did help to put things in perspective for me. I think a lot of it is in the act of making a pot of tea for me, the warming of the pot, the spooning of the leaves, the allowing to brew, the anticipation and then the 10 minutes alone in the kitchen to drink it. Both the boys know that if I ask for a cup of tea in peace that I mean it now. It gives me time to breath, to reflect and to put things in to perspective. We have a Sunday of visiting today, I hope you have a good Sunday too. We woke up this morning to a good three inches of snow, football tots was cancelled and we have had the joy of a morning of not having to be anywhere and beatiful soft snow and sunshine. I went out with MiniMad and we took some photographs whilst Maxi and MadDad cleared the cars. The sun was shining and everything looks clean and just wonderful. This is what is left of the mint that we love in the summer in our herb pots, it just looked so wonderful with the snow on top. It looks even better with the sun reflecting on it, this snow isn't going to last, so I wanted to make the most of it. It looks like cotton wool or candyfloss, as MiniMad said. Just starting to melt and soften off in the sun. Days like these make my heart sing. Enjoy your weekend, I am going to. Now to take my mum shopping, she has not had the best of weeks, she broke her arm on Monday, quite a serious break in a bad position, which means she is potted from fingertips upwards and has to wear a sling. She is off on holiday to Florida with my Brother and family next week too!! I saw this and love it on Mary Poppins Blog, so just had to pass it on and share. The minimads loved it too! Please don't call me brave. Please don't call me brave, please don't tell me I have done the brave thing. What I have done was the easy option, the only option I felt open to me. It was Hobson's choice. How could I live knowing the risk I had and not worry with every passing moment that a cancer was growing inside me. No I took the easy way out. Please don't call me brave. I have never had to tell my children, my husband, my mother or my friends that I have cancer. I have never had to make them feel that everything is going to be OK, when actually I want them to be positive and hold me and tell me we will fight this together. Please don't call me brave. I have never been put under a general anaesthetic not knowing how much breast I will have when I wake up, or the uncertainty that they cancer has spread to my lymph nodes. I will never have the wait for pathology results to come through, whilst I try and get my head around what is left of me and why me of all people. Please don't call me brave. I have never had the chemotherapy, the drugs which are toxic and poisonous, which are delivered in a blue bag and slowly take away all my hair, my ability to sleep, to eat and to want to open my eyes on a morning. Please don't call me brave. I don't have a tattoo, so that the radiotherapy could be administered to the right stop each time I go to the hospital. I don't have the lasting reminder of yet another treatment to rid my body of cancer. Please don't call me brave, I don't have to wear a hat or a scarf to cover my bald head. I don't worry that my children will cry when they see me, or that strangers will automatically know I am a cancer victim. I don't have to live with peoples sympathy. Please don't call me brave. I don't have to have tamoxifen on regular basis to try and ensure that the cancer does not return. I do not have to ensure the regular visits to the cancer ward. The side effects of the drug that is supposed to be helping my body. Please don't call me brave. I do not have to be cancer free for five years before I can say that I am officially cancer free or in remission. I don't have to worry every time I shower if there is another lump in my other breast, if my life is slipping through my fingers like sand. Please don't call me brave. I am not looking at my children wondering if this is the last time I will feel their skin on mine, smell their delicious smell or stroke their wonderful hair. I do not close my eyes at night wondering if they will open again. 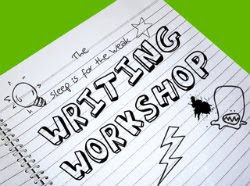 This post was written for the weekly writing workshop at Sleep is for the week and was inspired by prompt 2 - What do people always wrongly assume about you? There has been a lot of murmuring in blog land recently on being thrifty, managing on one income and the mend and make do lifestyle. I thought I would add my penny's worth, as we have been living as frugally as possible on one income for a number of reasons. People who knew me from old are totally amazed to the change in me, but it is so worth making sacrifices and changes to spend this time with my boys. So as they say mother is the necessity of invention!! One of our biggest changes has been moving from never carrying cash to using a cash only system for incidentals, fuel, groceries, lunches etc though the month. This means we draw enough cash out after pay day to cover the expenses (just, if we have enough) and then use the cash through out the month. Lunches this is for school lunches - I work out how much school lunches (£9.25 per week) and snack money (50p each per week) will be nad put that amount in the envelople. Fun - This basically covers the boys activities over a month - swimming lessons, (£3.10 per lesson), football practice (£2.00 per week), ducklings (£1 per session), toddlers (60p per session). Fuel - We set aside a fixed amount for both of us each month, once I run out it is tough. MadDad does get mileage for any additional mileage he does to and from clients, so that covers his additional fuel in a month. Groceries - Again a fixed amount per week to cover it all. I have found this has forced me to stick to my menu plans, to shop around, to make our own bread, biscuits and cakes. I also buy my washing products from this and nappies for MiniMad at night. I have also found that it pays to pop to the village butchers for my eggs as they are much less expensive and the local greengrocer for any veg we haven't managed to grow. We pay as many of our bills as we can by direct debit and keep a spreadsheet showing the expenditure. I try to make as many presents as I can and we also make our own cards. I am also pretty honest when asked about visiting soft play or a whacky warehouse type place, if we do not have any spare cash, then I say that we can not afford it this month, but I have cakes and coffee at home and you are welcome to come and visit me. One thing I have learnt is that lots of people are in the same boat as me too and it is great when one of the mums sees you on the school run and says that chicken are half price in the co-op this week or such like. People always comment that our cakes and biscuits are nice and that they just buy them, the thing is once you find a recipe that works, it only takes 10 minutes to make a batch of cakes with the mini's and the costs is minimal. 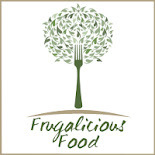 The biggest savings for us has been menu planning and we will be continuing doing this in 2010. I will also be looking at ways in which you can be as frugal as possible and hope that people will join in with their ideas. In 2010 we will need to find the extra cash to pay from MiniMad to start swimming lessons (June) and Football Practice (January) and School Lunches (September), so need to work at being as frugal as possible. 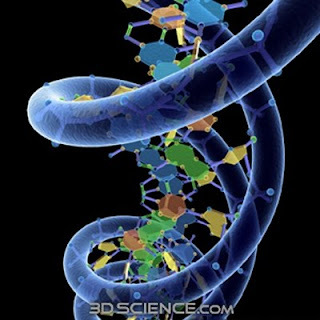 Genetics - Would you want to know? Geriatric Mummy is in the very unfortunate circumstances of watching her beloved Father go rapidly downhill with early onset dementia and she has asked what other people would do in her situation. I decided to do a post, rather than a comment, as it would be rather long, as this is a subject close to my heart. I have a faulty gene, technically they call it a spelling mistake in the DNA and in mine and my family's case the issue is with the BRCA 1 gene, which for me due to my family history means that I had an 80% lifetime risk of breast cancer and a 60% lifetime risk of ovarian cancer. It also means that I am more susceptible to a number of other cancers too. Now to put this in to perspective, genetic breast cancer accounts for approximately 5% of the cases of breast cancer, so it is a relatively small amount and pretty unusually to get the positive result for the spelling mistake. The reason I came to find out was down to my wonderful Aunt T, she was diagnosed with a very rare type of cancer, primary peritoneal cancer and during her treatment she was treated for a genetic spelling mistake, mainly due to my other Aunt dying from cancer and the history of cancer on my maternal side of the family. We all concentrated on my Aunts recovery and through nothing of the results not coming back, so that when they did informing her of the genetic issues we were all floored. Initially the NHS offered a genetic test to my Aunts remaining siblings, her daughters and my deceased Aunts children. My mum chose to have the test, even though she is the oldest in the family. She was diagnosed as carrying the spelling mistake too, which meant that the test was opened up to me and my brother. MadDad and I received counselling from Macmillan even before we made the decision whether or not to have the test. We were really lucky in the care we received and we were also both of the same opinion, that finding out if I carried the spelling mistake would enable us to take proactive actions against any cancers. In all honesty I thought that I would be fine and to find out otherwise was a real punch in the solar plexus, but we decided that we would research all the options open to me and started meeting with consultants, cancer survivors, woman who had undergone mastectomies, nurses and anyone we could really. I had a mammogram, an MRI, a colonoscopy, a gasgoscopy and an ultrasound before we had come to any conclusion about what we would do. Initially I decided to have my ovaries and fallopian tubes removed. There were distinct advantages to having this operation prior to turning 35, both for the reduction in risk of ovarian cancer and also the fact that the changes in my hormones due to the operation would also reduce the breast cancer risk marginally. I underwent this initially operation in July 2008 when Maxi was 3 and Mini was 2. We both yearned for a larger family but decided on balance that it would be better to concentrate on the two we have rather than risk having anymore and subsequently developing ovarian cancer, especially as it is very hard to diagnose. I was in hospital for one night, back driving the following day and swimming 4 days later. It was a really easy recovery and I was very lucky indeed. We were also discussing the possibility of breast cancer and also the diagnosis of this, which would hampered by the fact that I was a larger breasted lady (38GG), so after much consideration, deliberation and after taking as much advise as we could that I would have a bi-lateral prophylactic mastectomy with an immediate reconstruction. I also decided that initially I would have a reconstruction with implants, as this meant the recovery should be quicker and less traumatic for us as a family as a whole. Knowing that I have this spelling mistake, also leaves me with the knowledge that I may have passed this "bad blood" on to my two wonderful boys. They will both be entitled to the genetic test at 18 should they wish and I will stand by whatever decision they make, but I also live in the hope that as they can now detect which gene the spelling mistake is in, that they make even be able to correct it by the time the boys are older. After seeing what people with cancer go through, the chemo, the radiotherapy, the long term drugs to hopefully prevent the cancer returning, we are in no doubt that we made the correct choice for our family. Yes what we have been through has been traumatic for the minimads, but the possibility of putting them through cancer and its treatment makes me feel physically sick. In doing what I have, I have not wiped out my all my changes of developing cancer, but I have reduced the lifetime possibility drastically. I understand that not everyone would have done what I did, but it was the right decision for me, I could not live year at a time just waiting for the cancer to show itself. I was lucky in that I could take preventative measures, which is not always possible. So Geriatric Mummy that is my blog post on it, although it hasnt answered your question about dementia. I feel for you I really do, to watch your father slip though your fingertips must be unbearable. No one can make this decision but you and your loved ones, but what ever decision you make, I will be here to support you and yours in any way I can. I have been tagged my Sally over at Who's the Mummy, she is the wonder-woman who compiles the Tots 100 index and also edits The Great Toy Guide. 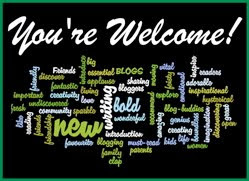 I especially like this meme, as is to give new bloggers a great big welcome in to the wonderful world of the Blogershere, which I joined 6 months ago. Since then I have thrown myself in at the deep end and I love it. I have a pretty full google reader, but I am always on the look out for new blogs which are inspiring, an interesting read, peak my creativity or just make me laugh. Visit the new blogs I've introduced you to. If you like them, subscribe! Tag three other bloggers and ask them for three new blog reads. Yummy Mummy Number1 - I was following her on twitter and she has decided to join the blog world, she a stay-at-home mummy. who's days mostly comprise of seemingly never-ending school/nursery runs and as much coffee and cake as she can possibly fit in in between - sounds good to me! Musings of a Geriatric Mummy - Now I have very selfish reasons for introducing you to this blog, the lovely GM is currently going through the turmoil of IUI and needs all the positive thoughts and prayers she can get, not only that but she is full of information on being and staying healthy. Natural Mummy - I was hooked as soon as I read her bio and I am sure you will be too. "No-one would describe me as a 'natural' at being a Mummy at all, I do struggle with this role sometimes. I earnestly wish for more simplicity, to live a green life, and to have a greater connection to the natural world way of living- in short to be a 'Natural Mummy'. Join me in my journey to the outdoors... "
Hello lovley blog readers. I am trying In tense debate for my blog comments, so that I can reply back to each of you rather than do a catch all post. Now I though it was going OK, but you need to be in the individual post to be able to comment, so can you bear with me please and click on the title for the post and you should see the comment box under the post. If it all turns out pants I will go back to the old way. Please dont stop commenting, I love your comments and wanted things to be a little more interactive thats all! I thought it was about time I updated you on the MiniMad situation and I am pleased to say that we seen to be going in the right directions with the temper tantrums. I have put my action list in to play and we have drastically reduced the number of incidents and also blessedly the length of any tantrums which do start. I have not succumbed to any of my curly hair terrorists demands and as someone commented you do not negotiate with terrorists! Setting expectations of what I want him to do. Counting down to when we are doing it ie 5 mins to school drop off, 2 mins, 1 min. I am much more calm, he is much better behaved and Maxi, well that is another post entirely. Part of the problem is that mini, wants to do everything that maxi can and do. So roll on June when he can start swimming lessons and in the next could of weeks he will be starting football tots too. Getting back in to a routine now the snow has gone has really helped too, we are going to toddlers, duckings and playdates again. So a big thank you to everyone that commented, gave advise and gave me hope. It has made a huge difference to our day to day life. Cheers. You know what, none of the writing prompts fill me with the need to write this week. I could be a million and one cartoon characters, but not one is me. I am unique and can not be categorised, so this is about me. A loving mother with two children I would lay down my life for, do they define me, to a point they do. I am Mini and Maxi mads mum, to their friends, to the teachers and to some of the other parents at school and preschool. I love my husband even more than my children, if that is at all possible. He is the reason the children are here, the spark that brought them to life. He is the man who has stood by me through thick and thin, through sickness and health and is just the most wonderful laid back man in the world. He completes me, he wants me and I adore being with him. When we first got married I used to get a frisson of excitement when he introduced me as his wife, well that has never gone away in nearly 15 years, so does that define me? Yes in someways it does. I have his name, I wear his ring, but I choose to allow him to hold my heart in his hands. I am my mothers daughter, oh I do hate that phrase, partly because it is true. Hard as it is to admit, I do take after her and that is why we possibly clash at times. I hear myself say the things she used to say and do the things she used to do. Does she define me, well out of her I came, so yes she does. Some people say we are what we eat, that doesn't ring true for me, I am the sum of my parts, the people who have touched me and influenced me, they are who I am, they have shaped me in ways I could never have imagined possible. In fact I am more my Fathers daughter by his absence, than by the fact he was my dad. I miss him so much and want to make him proud. I am not in paid employment at the moment, I have no career to define who I am, I am not a Facilities Manager or a Recruitment Consultant, I am more than that, I am a chef, a cleaner, a teacher, a carer, a counsellor, a taxi driver, a personal shopper, an ironing lady, a painter, a decorator, an entertainer, a seamstress, a lover and much, much more. 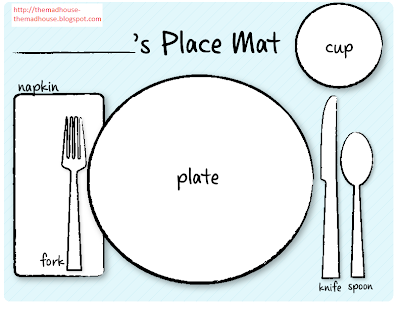 For all those that asked, I have done a printable placemat, which you can laminate. Even better you can get your little ones to decorate it first. Manners, I like manners. In fact I think that the boys can get away with most things, if they say please, thank you and have table manners. We are teaching the boys to help around the house, well they have been since they could walk really and lately they have been trying to set the table, but their constant "I cant remember which side the fork goes on mummy" has been driving me crackers, especially as I am in the kitchen preparing the dinner. My first attempt at free form sewing. I used some fabric I already had in for the mats, lined with some towel and then cut up a plain tea towel and sewed it on, so the boys now know where everything goes. I shouldn't have to ever set the table again or tell them why anything goes. I am contemplating more of these and might even sell some to make some pocket money to enable me to buy more fabric. What do you think? Would you buy one? If so how much would you be willing to pay? Lets start the year with an oldie but a goodie and this is something that you can take out when you are lacking in motivation or just need a little break. Once you have made it you will never again buy it and trust me adding essential oils makes it so nice. Now, I know there are other recipes out there, but this one seems to last better, sometimes up to six months, but then I have children, who like to keep the colours separate (yes strange I know)! Play dough is not the devil's play toy, I know some people don't like it but I have never understood why. If you have carpet then pop down a plastic tablecloth under the table. We have a large box of toys to use with it, that have been collected over the years, but the ones that they always come back to, are the rolling pins and cookie cutters. I just buy inexpensive plastic seasonal ones and use them for both the play dough and the cookies! If I have inspired you to make any playdough, or just to craft with your children, then please come back and add your link below. Lets make 2010 the year that we become a little less worried about the mess crafting with children can create and the need to add our perfectionism to the mix and make it the year for fun crafting. The snow and ice has virtually gone now. I can not believe how long it has remained and that is actually laid on the sand. I can not remember this happening in my lifetime. Anyway enough of the snow, me and my boys have been to see The Wiggles at the cinema this morning. MiniMad is an avid fan, who was introduced to them by my MIL. We have booked to see them live in June on his birthday. We took the boys last year and they had a whale of a time. After watching him sing and dance this morning, I am so excited. Both boys were lovely. In fact we have had a really lovely relaxing day, we have made home made mayonnaise, pizzas and garlic dough balls. We have done colouring and drawing and them we all sat and watched The Three Musketeers snuggled under a blanket. A perfect lazy Sunday afternoon. I hope you have had a good weekend too. I like many others have been shook to the core by the events in Haiti. As a mother this just breaks my heart. To try to explain to my boys what has happened and why, well it is so hard. How do you explain that yes a natural disaster, the earthquake caused the devastation and that a dictatorship is prolonging the pain and preventing the aid and aid workers from getting to the areas that they need. British Mummy Bloggers are clubbing together to publicise the plight of this horrendous event. I would like to publicise two ways to donate. Firstly the DEC, the Disasters Emergency Committee, which was formed in 1963. they are an umbrella organisation for 13 humanitarian aid agencies. At times of overseas emergency, the DEC brings together a unique alliance of the UK's aid, corporate, public and broadcasting sectors to rally the nation's compassion, and ensure that funds raised go to DEC agencies best placed to deliver effective and timely relief to people most in need. You can donte here . Life-saving means of water purification. Water supplies often become contaminated after a major disaster, as infrastructure and sanitation systems are destroyed, this presents a secondary but no less dangerous threat to survivors than the initial disaster itself. A basic tool kit containing a hammer, axe, saw, trenching shovel, hoe head, pliers and wire cutters. These items enable people to improve their immediate environment, by chopping firewood or digging a latrine, for example. Then, when it is possible, to start repairing or rebuilding the home they were forced to leave. A wood burning or multi-fuel stove that can burn anything from diesel to old paint. This provides the heart of the new home where water is boiled, food is cooked and families congregate. In addition, there are pans, utensils, bowls, mugs and water storage containers. Each box can be adapted to the individual needs of the disaster area, for example, following the Javanese earthquake in 2006, when some resources were available locally or could be salvaged from one storey buildings, the overwhelming need was for shelter – so ShelterBox just sent tents, packing two in each box. The box itself is lightweight and waterproof and has been used for a variety of purposes in the past – from water and food storage containers to a cot for a newly born baby. And lastly, but I think just as importantly, each box contains a children’s pack containing drawing books, crayons and pens. For children who have lost most, if not all, of their possessions, these small gifts are treasured. These boxes cost around £490, please donate at the Bloggers for Haiti page and help another parent look after their family. I have been tagged again (January must be the month of tags) by Fraught Mummy from Brits in Bosnia for her Stories and Songs me me. Now there is no way I could single this down to one song. I love music almost as much as I love photo's and I actually categorise times of my life by certain songs and music. 1994 was a wonderful year for me and MadDad. We decided to get together in February and a whirlwind romance followed, where we did all the festivals and spent the year camping at weekends and visiting parts of the UK that we fancied, whilst deciding to get married. It was a perfect year, well it seems that way when I reminisce, all our camping gear in the back of the Citron AX, hot sunshine, windows down, radio or tape on at full blast and this song just typifies it for me. We saw them live at Phoenix and it was a blast! It wont let me embed the video, but play it loud! One memory that really sticks with me from this time, is don't make love in a tent with the light on inside, especially a tiny two man done tent [blush]!! My dad loved M People, he though Heather Small was wonderul and had a fab voice. This was his favorite song and infact me favorite song ever. We played it in the church at his funeral and just listening to it makes me smile. It used to make me cry, but with time that has changed and now it is just perfect. I often wished there was a song for Maxi's birth, but I had a terrible time in the hospital for a week before it and then a crash section, so have kind of blocked it all out. We bought their album Tourist in the February when I was pregnant, but this song didn't hold any meaning until that fateful day and it was playing in the car, as we rushed him to the hospital with the on call GP in the car with us (there wasn't time to even call an ambulance). Again I had a pants week in hospital and section for mini, but we were a little more prepared this time and Eyes Open their album was playing in the theatre and specifically chasing car was playing. it was also the first song that played when we put him in the car to bring him home! Now I could go on and on and on, but I will leave it there. Believe it or not I have already picked the music that will be played at my funeral too!! Anyone else that gives it a go, let me know and I will add you too. Well with the laptop still not being well, I have been busy in the craft room. MaxiMad's best friend is 5 tomorrow, so with money still being very tight, I have made some presents for him. Firstly I made a birthday Crown. The inspiration for this was taken from Amanda Soules Creative Family. I now have two for the boys cut out. I have also made him a pencil roll and popped some double ended pencils in it. Finally inspired by Beki over at The rambling of an everyday mother, I have made him a monster, I even went to Argos and bought the same tea towels, although mine looks very different from "Moo". I am hoping that helps S, as you see he has been having nightmares and waking thinking there is a monster behind his drawers. So now he has his own monster to help out and scare the others away! His mum also made some anti monster spray, basically a spray bottle filled with water and a drop of lavender oil and a homemade label. She also got him a dream catcher to catch all those nasty dreams before they get into his head. What wonderful ideas. Oh and I almost forgot, I made my first tea cosy, it is so cold (I refuse to put the heating on during the day), that my tea in my little pot has been going cold too quick, so I have insulted it!! What can I say, apart from a great big thank you obviously. The blogging and Internet community has done it again and come to my aid. I have had some fantastic comments on my post about minimads temper issues and one thing I am sure of it that it will pass, all of your comments has made me sure of this. It seems that I am not alone in experiencing this and if others can get through it then so can I. The comments were so good and insightful I felt that they deserved a post of their own, that way if anyone else is going though this, they can see them all. I have been advised to stay icily calm by Some Mothers Do Ave Em and Pink Milk is Yummy agrees this is a good start, I am not sure I can manage icy, but I have been working on the calm. Cyrstal jigsaw confirms that this is a key point in dealing with her child too. Emily at Babyrambles suggests a reward chart, as does Snafflesmummy and The ramblings of an everyday mummy, so I have decided to set down what behaviour will mean thatminimad gets more points and in our house points make more buying power at mummys shop. Fraught Mummy finds that letting everyone know what is coming well in advance of it actually happening can be helpful. So there is a constant - in 10 minutes we are going to leave to go to nursery - in 5 minutes we are going to have to put our boots on. This is a tactic that Pink Milk is Yummy uses too. Cathy at Nuturestore suggests having a chart detailing expectations in pictures. Set realistic expectations of Mini, clearly letting him know what I need and expect og him. Some of the mummys with older children have been there and done that and just knowing that fantastic mum's like Penny, Suzie, Amberlife and Pomona have all been through similar is something of a relief. So thank you friends for all your insightful and helpful comments. Thank you for the support, for the hugs and for the camaraderie. Thank you for letting me know that I am not alone. If all else fails there is always chocolate! 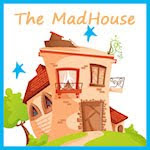 We seem to be fignhting a never ending battle in The Mad House at the moment with minimad. Mothership posted today about seeing yourself in your children and it got me thinking and I finally decided to come clean about an issue we are having with MiniMad. I have always said the mini's were headstong, their own men, independant thinking, but it is just an excuse really, just a polite way of saying, that they can be stuboarn, hard headed and bloody hardwork at times. This stage with Maxi wasnt too bad, we were able to negotiate, distract ot tickle our way out of things, but my oh my, with Mini it is a complely different story. Take this morning for example. We were all up dressed, ready for the school run. We only needed to finish our food and pop on our wellies. For me and Maxi that was a 2 min walk in the park. Well Mini didn't want to drop Maxi at school, so what ensured was a 25 minute tantrum of massive proportionss, which resulted in a second pair ofb rokenn glasses, me carrying him to the car, getting hit, kicked, bitten and screamed at all the way and a very sore back for my trouble. You see if mini doesn't want to do something, then it all kicks off and our world is turned upside down. The thing is this now leaves me cowering in the corner unable to deal with it in any sensible way. Oh just put him on the naughty step you say, OK you try carrying a 3 and half year old tasmanian devil somewhere he doesn't want to be and get him to stay there. Hold him, restrain him, again tried it and I can not do this. I have tried on numerous occasions and failed. You can not reason with him when he is in this state either. I used to watch Super Nanny and think what sort of parents couldn't control their children. I used to pity them, feel for them, but also ridicule them. Well the truth is I am at the end of my tether with Mini. I love him dearly, but fear what each day will bring, we were late for school this morning, which left Maxi in tears begging his little brother to get his coat on and it is not as though I can leave him in the house. We now also have to visit the opticians and get 2 pairs of glasses mended that he has broke over the weekend. You see I dare not mention this to my mum, as I know the response I will get "Oh that is nothing, you were a horrible child, ha ha ha" no advise, oh no, just my mother smug that life is getting its own back on me. Yep, I am and have been all the things that Mini is and much, much worse. I don't think I was a very nice child and it turns out that mini is my life getting its own back, but that doesn't solve anything. I don't want this to continue in this vain. We need a solution, we need to work on things, I know consistency will be the key to what every we do, but I need some help. So parents out there, have you experienced this and if so what did you do, please help, please comment, please, please, please. I don't want this to effect the way we are and love as a family.